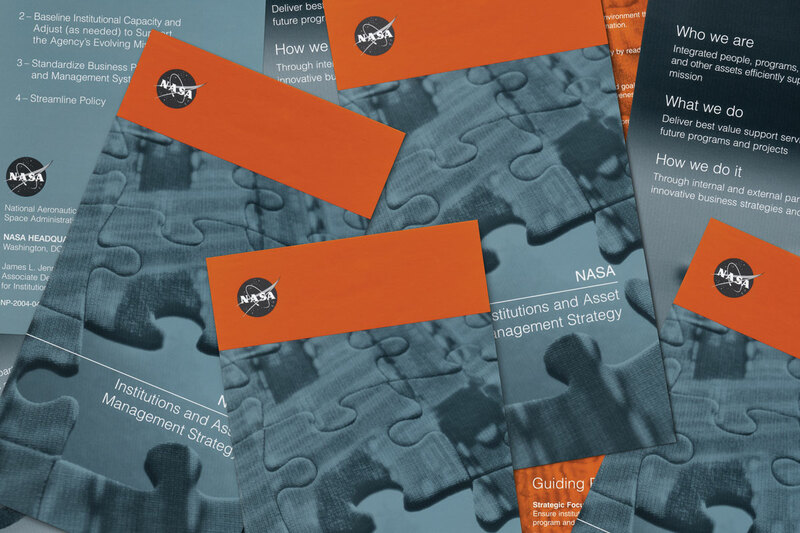 This brochure was designed for a broad internal audience at NASA to unify multiple offices and departments in common goals and objectives. It allowed the administration to openly communicate its strategic plan for asset management as well as any institutional milestones. 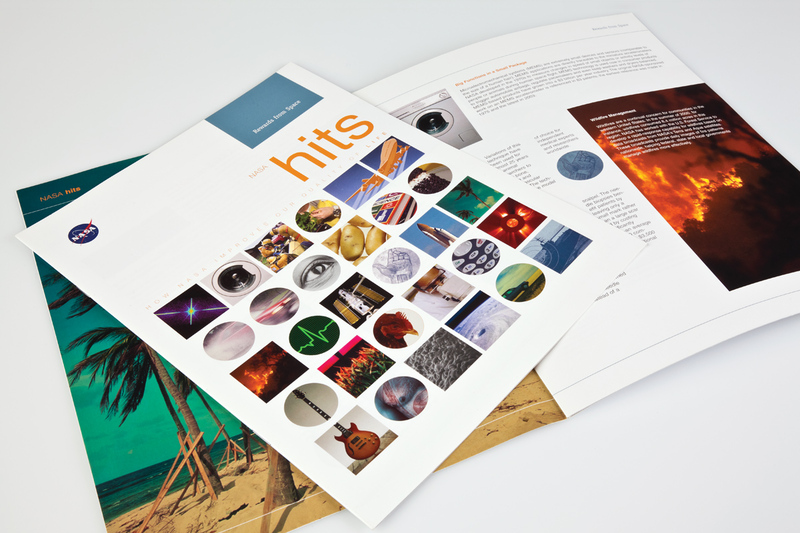 This public affairs report was designed for the White House to communicate how space travel has benefited life on Earth from innovations in agriculture and electronics to advances in medicine.